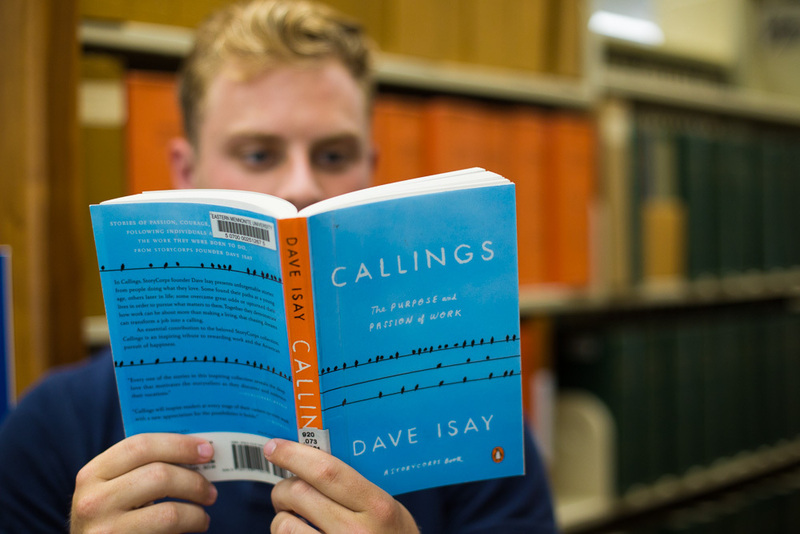 The Eastern Mennonite University Common Read for the 2018-19 academic year is Callings: The Purpose and Passion of Work by StoryCorps founder Dave Isay with Maya Millett (Penguin, 2017). EMU’s Common Read establishes common ground for discussion in classrooms and other venues. This year, nearly 300 students in classes ranging from first-year writing to a graduate career counseling course will receive copies of the book. Campus events will focus on the theme of calling. An October Suter Science Seminar will highlight Dr. Jill Stoltzfus’s path from studying psychology at EMU to becoming research institute director at St. Luke’s University Health Network. On Nov. 7, faculty members will share from their own experiences in a convocation titled “TenTalks on Calling.” The Academic and Creative Excellence Festival on April 18 will feature keynote speaker Dr. Drew Lanham, professor of wildlife at Clemson University, who will talk about his work as a naturalist. Callings is the fifth book from StoryCorps, which seeks “to preserve and share humanity’s stories in order to build connections between people and create a more just and compassionate world,” its website states. It began in 2003 as a booth in New York City’s Grand Central Terminal, and last year released the 500th episode of its podcast. Previous Common Read selections at EMU have included Between the World and Me by Ta-Nehisi Coates (Random House, 2015), Memory of Water by Emmi Itäranta (Teos, 2012), Searching for Zion: the Quest for Home in the African Diaspora by Emily Raboteau (Grove Press, 2013), The Shallows: What the Internet is Doing to Our Brains by Nicholas Carr (W. W. Norton, 2010), and The Absolutely True Diary of a Part-Time Indian by Sherman Alexie (Little, Brown, 2007).